We have another great deal for players who love to take advantage of a nice bonus. With the current OrientXpress Welcome Bonus all our readers can collect 250% bonus money up to €500,00! With this generous bonus it is fairly easy to try out many of the available games in the casino. Before you collect your OrientXpress Welcome Bonus it is also possible to collect a €7,00 No Deposit Bonus! Sign up using the bonus code BBC7 and collect your personal bonuses today! Want to know more about all offers? The continue reading this post about all the promotions at OrientXpress. Collect your €7,00 No Deposit Bonus on this page! All new players can take advantage of a 250% Welcome Bonus up to €500,00 at OrientXpress. With this great bonus it is possible to try out many of the available great games. At the moment you will find many great games by NextGen, ELK, NetEnt, Amaya, GS, 1X2Gaming, Fugaso and GameArt in the gaming lobby. Besides that, OrientXpress offers a live casino by Extreme. Which is one of the best within the market. Make a deposit today and collect your bonus money. For example, reader who deposit a total of €100,00 will receive €250,00 bonus money. Because of this they can play with a total of €350,00. People who deposit €200,00 will receive the maximum of €500,00 bonus money. Which grants then with a total of €700,00 to play with! How to collect my OrientXpress No Deposit Bonus? Click this link to visit the OrientXpress website. Continue by clicking the yellow ‘’Play now’’ button on the landing page. Start signing up your account by filling in your user name, e-mail and password. Also make sure you fill in the registration code BBC7 and tick the box to accept the terms and conditions. This will grand you with €7,00 bonus money after email validation. Continue by clicking the continue button. Complete your sign up by filling in the registration form. 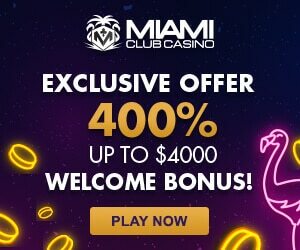 This information will be needed to sign up your free and personal casino account. Validate your email address by clicking the activation link in your email. Can’t find the email? Make sure you check your junk of spam folder. You can also resend the activation mail to another email address to try it again. After email validation there will be €7,0o bonus money ready in your account. You can use this money on many of the games except the NetEnt games. Make a first deposit using your favourite deposit method. Every deposit between €20,00 and €200,00 will activate the OrientXpress Welcome Bonus. There is no bonus code needed to collect your personal welcome bonus. Besides the OrientXpress Welcome Bonus our readers can also collect a €7,00 No Deposit Bonus. This special offer is only for people who sign up using the bonus code ‘’BBC7’’. With this special offer OrientXpress want to welcome all the readers of our blog. Use your personal bonus money to try out the casino and some of its games. You can try out all the games except the ones from NetEnt. Signing up only takes minutes so grab your bonus money without even making a deposit! Collect your €7,00 Bonus Money on this page! OrientXpress is a (mobile) casino which opened its doors in the year 2017. The casino is owned by Equinox Dynamic N.V. and is licensed by the Government of Curacao. In the gaming lobby you will find a huge amount of video slots. Besides that the casino offers card games, table games, a live casino, video poker and scratch card games. A the moment the casino works with the following vendors; NetEnt, Betsoft, NextGen Gaming, 1x2Gaming, Leander Games, Amaya (Chartwell), Thunderkick, Nektan, Elk Studios, Lightning Box, GameArt, Extreme Live Gaming, Ainsworth Gaming Technology and Pragmatic Play. Because if this the casino offers hundreds of the best casino games. Besides a huge portfolio the casino aims on delivering great customer service, secure banking solutions and the best experience within the industry. Sign up now and try it for yourselves! All new players can take advantage of the €500,00 OrientXpress Welcome Bonus! At OrientXpress Casino it is possible to deposit or withdrawal money using multiple safe methods. At the moment the casino supports all popular methods including Visa, Mastercard, Sofort, Neteller, EcoPayz and Maestro. In the near future Skrill and iDeal will also be added to the payment solutions portfolio. Which makes it very easy to find a suitable payment option. Besides that payments are always safe at OrientXpress because of a state of the art SSL encryption. Which protects all transfers and personal information. When you accept a bonus offer you will need to wager your bonus money. At OrientXpress Casino you will need to wager the welcome bonus a total of 30 times. Which is not bad at all. The no deposit bonus must be wagered 60 times. After hitting the wagering requirements it is possible to cash out your total balance. Want the freedom to cash out at any moment? Then we recommend to start playing without taking any bonuses. For more information about all the terms and conditions, please visit the OrientXpress Casino website! OrientXpress is not the only casino that offers a great welcome bonus. In the table below we have collected all active offers of our partners. Many of the offers a pretty generous. For example, EnzoCasino offers €10,00 Free Bonus Money + a 200% Welcome Bonus. Besides that SPINiT Casino will reward you with a 100% Welcome Bonus and up to 200 Free Spins. You can try out multiple casinos and offers. So make sure you take full advantage of all the offers. Any new offers will be added to the table instantly. So keep a close eye on our table to collect the newest bonuses.